A few times in the course of Derek Attig’s really interesting talk on the history of bookmobiles yesterday, he pointed out how the route map of the early bookmobiles (and later ones, too) resembles a network map. He did this to stress that the history of bookmobiles is not simply a history of vehicles, but rather should be understood in terms of those vehicles’ social effect: creating and connecting communities. I like this point, and I don’t mean to suggest that Derek carried the analogy too far. Not at all. 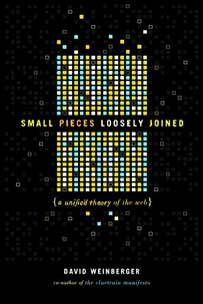 But, it is an excellent example of how we are reinterpreting everything in terms of networks, just as we had previously interpreted everything in terms of computers and programs and information, and before that in terms of telephone networks, and before that…and before that…and before that…. Edward Burman recently sent me a very interesting email in response to my article about the 50th anniversary of Thomas Kuhn’s The Structure of Scientific Revolutions . So I bought his 2003 book Shift! : The Unfolding Internet – Hype, Hope and History (hint: If you buy it from Amazon, check the non-Amazon sellers listed there) which arrived while I was away this week. The book is not very long — 50,000 words or so — but it’s dense with ideas. For example, Edward argues in passing that the Net exploits already-existing trends toward globalization, rather than leading the way to it; he even has a couple of pages on Heidegger’s thinking about the nature of communication. It’s a rich book. Shift! applies The Structure of Scientific Revolutions to the Internet revolution, wondering what the Internet paradigm will be. The chapters that go through the history of failed attempts to understand the Net — the “pre-paradigms” — are fascinating. Much of Edward’s analysis of business’ inability to grasp the Net mirrors cluetrain‘s themes. (In fact, I had the authorial d-bag reaction of wishing he had referenced Cluetrain…until I realized that Edward probably had the same reaction to my later books which mirror ideas in Shift!) The book is strong in its presentation of Kuhn’s ideas, and has a deep sense of our cultural and philosophical history. It’s unfair to leave it there since the book then elaborates on this idea in very useful ways. For example, he talks about the concept of “e-business” as being a pre-paradigm, and the actual paradigm being “The network itself becomes the company,” which includes an erosion of hierarchy by networks. But because I’ve just written about Kuhn, I found myself particularly interested in the book’s overall argument that Kuhn gives us a way to understand the Internet. Is there an Internet paradigm shift? The are two ways to take this. First, is there a paradigm by which we will come to understand the Internet? Edward argues yes, we are rapidly settling into the paradigmatic understanding of the Net. In fact, he guesses that “the present revolution [will] be completed and the new paradigm of being [will] be in force” in “roughly five to eight years” [p. 175]. He sagely points to three main areas where he thinks there will be sufficient development to enable the new paradigm to take root: the rise of the mobile Internet, the development of productivity tools that “facilitate improvements in the supply chain” and marketing, and “the increased deployment of what have been termed social applications, involving education and the political sphere of national and local government.” [pp. 175-176] Not bad for 2003! 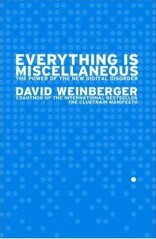 Second, after listing the three areas of development over the next 5-8 years, the book makes a claim central to the basic formulation of the new paradigm Edward sees emerging: “And, vitally, for thorough implementation [of the paradigm] the three strands must be invisible to the user: ubiquitous and invisible connectivity.” [p. 176] If the invisibility of the paradigm is required for its acceptance, then we are no closer to that event, for the Internet remains perhaps the single most evident aspect of our culture. No other cultural object is mentioned as many times in a single day’s newspaper. The Internet, and the three components the book point to, are more evident to us than ever. (The exception might be innovations in logistics and supply chain management; I’d say Internet marketing remains highly conspicuous.) We’ve never had a technology that so enabled innovation and creativity, but there may well come a time when we stop focusing so much cultural attention on the Internet. We are not close yet. Even then, we may not end up with a single paradigm of the Internet. It’s really not clear to me that the attendees at ROFLcon have the same Net paradigm as less Internet-besotted youths. Maybe over time we will all settle into a single Internet paradigm, but maybe we won’t. And we might not because the forces that bring about Kuhnian paradigms are not at play when it comes to the Internet. Kuhnian paradigms triumph because disciplines come to us through institutions that accept some practices and ideas as good science; through textbooks that codify those ideas and practices; and through communities of professionals who train and certify the new scientists. The Net lacks all of that. Our understanding of the Net may thus be as diverse as our cultures and sub-cultures, rather than being as uniform and enforced as, say, genetics’ understanding of DNA is. Second, is the Internet affecting what we might call the general paradigm of our age? Personally, I think the answer is yes, but I wouldn’t use Kuhn to explain this. I think what’s happening — and Edward agrees — is that we are reinterpreting our world through the lens of the Internet. We did this when clocks were invented and the world started to look like a mechanical clockwork. We did this when steam engines made society and then human motivation look like the action of pressures, governors, and ventings. We did this when telegraphs and then telephones made communication look like the encoding of messages passed through a medium. We understand our world through our technologies. I find (for example) Lewis Mumford more helpful here than Kuhn. Now, it is certainly the case that reinterpreting our world in light of the Net requires us to interpret the Net in the first place. But I’m not convinced we need a Kuhnian paradigm for this. We just need a set of properties we think are central, and I think Edward and I agree that these properties include the abundant and loose connections, the lack of centralized control, the global reach, the ability of everyone (just about) to contribute, the messiness, the scale. That’s why you don’t have to agree about what constitutes a Kuhnian paradigm to find Shift! fascinating, for it helps illuminate the key question: How are the properties of the Internet becoming the properties we see in — or notice as missing from — the world outside the Internet?